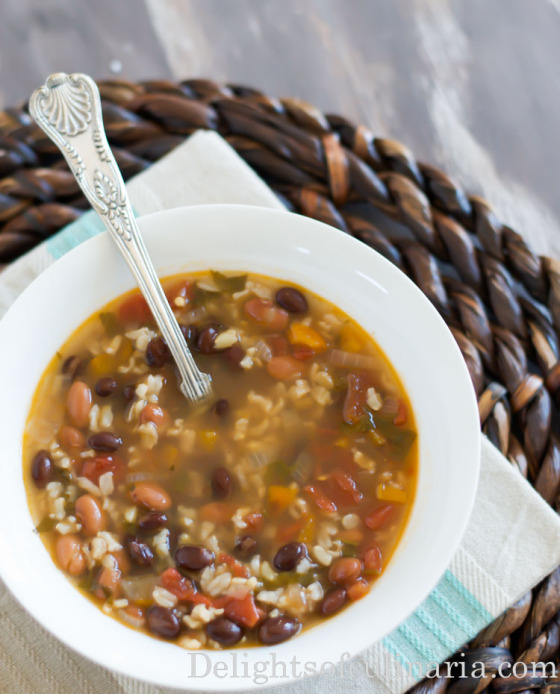 This soup sounds really yummy, I love rice and beans! Will let you know how it’ll turn out. Keep your awesome recipes coming! Do you think that cilantro is a must or can I substitute parsley? Thank you. Tanya, You can substitute parsley if you don’t like cilantro,but will be a little different taste.